A selection of films, most of which are far better than those of today - many with a strong propaganda element. 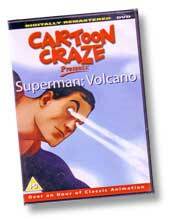 With over an hour of Classic Animation this DVD features 8 Superman cartoons all of which were produced during World War Two. The wartime propaganda influance of these American made cartoons can be easily seen with the Japanese featuring as the enemy and Superman doing his bit for the war effort. An interesting addition to your wartime DVD collection. 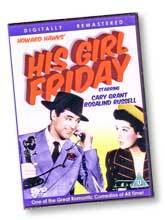 As a flawed and utterly irresistable newspaper editor, Cary Grant lets loose his funny side in this madcap romantic comedy. A film that is every bit as enjoyable now as the day it debuted in 1940.